It was only a short walk down the road to see St. Francis Church. 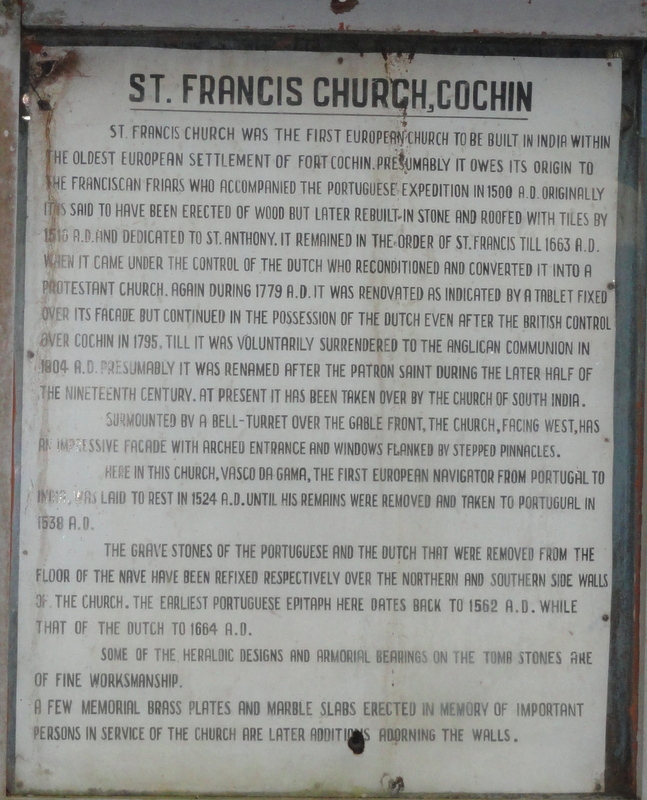 St. Francis Church was originally built in 1503 and is the oldest European church in India. The Portuguese explorer, Vasco de Gama, was the first European to reach India by sea – thus linking Europe to Asia which increased the spice trade. The Portuguese (Catholic) were overtaken by the Dutch (Protestant) in 1663, and they demolished all the churches in the area except this one. They refurbished it and turned it into a government church. 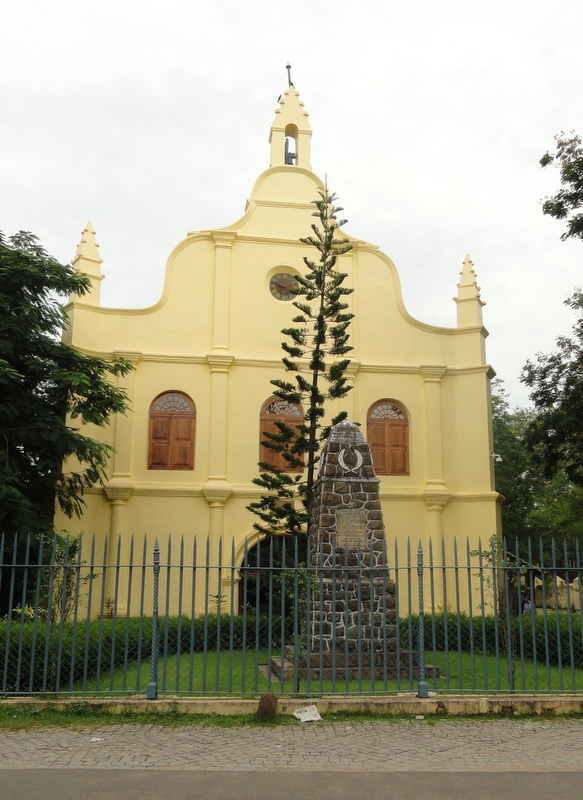 When the British came, the Dutch turned the church over to the Anglican and it remained a government church – as it is today under the Church of South India. The Church of South India is the successor of the Church of England in India after Indian Independence (1947). 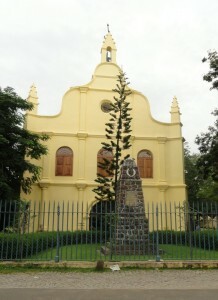 Vasco de Gama died in Kochi in 1524 when he was on his third visit to India and his body was originally buried in this church, but after fourteen years his remains were removed to Lisbon. There is still an area marked out where he was buried. 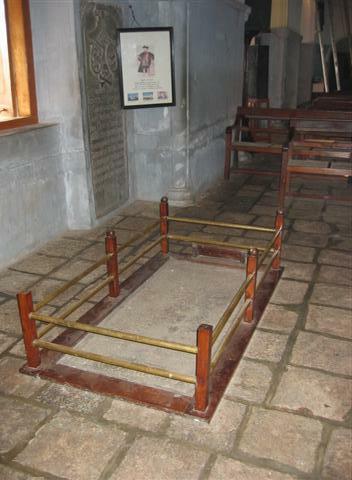 Vasco de gama original burial site.